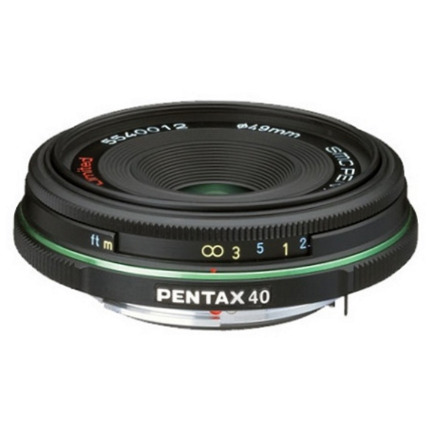 The Pentax SMC P-DA 40mm f/2.8 Limited lens is designed to be used specifically with digital SLR cameras. The focal length is equivalent to 60mm in 35mm format. It's ultra-compact "pancake-type" design makes it possible to make a lens that only weighs 3.2 ounces. Like all Pentax lenses, this lens is treated with Super Protect/SP coating for maximum light transmission, sharp definition, and high contrast images. The advanced optical design used for this lens provides exceptionally high resolution optics with minimal aberrations.